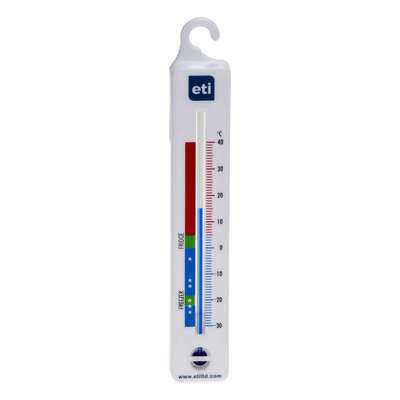 Keep every room in your home at the perfect temperature with our Room Wall Thermometer. Designed to offer effective service at an economic price, this wall-mounted thermometer can be installed on any hard and flat surface. It has a wide temperature range of between -30°C to +50°C and with an accuracy of 1°C. This information can help to ensure that your business is fully compliant with care home temperature regulations. Suitable for use all bedrooms, kitchens and a wide range of other rooms, you'll appreciate the functionality of this effective wall thermometer. Helps a care or residential home to comply with temperature regulations. Here at Gompels, we have a wide range of thermometer options including our Bath Thermometer or our Dishwasher Safe Waterproof Thermometer. All our products are available to purchase online at an exceptional wholesale price.